Designer Bathroom Remodels in Columbus Ohio. We make bathrooms in many different styles. We have over 30 years of bathroom remodels. Our work has been written about in magazines and online publications. 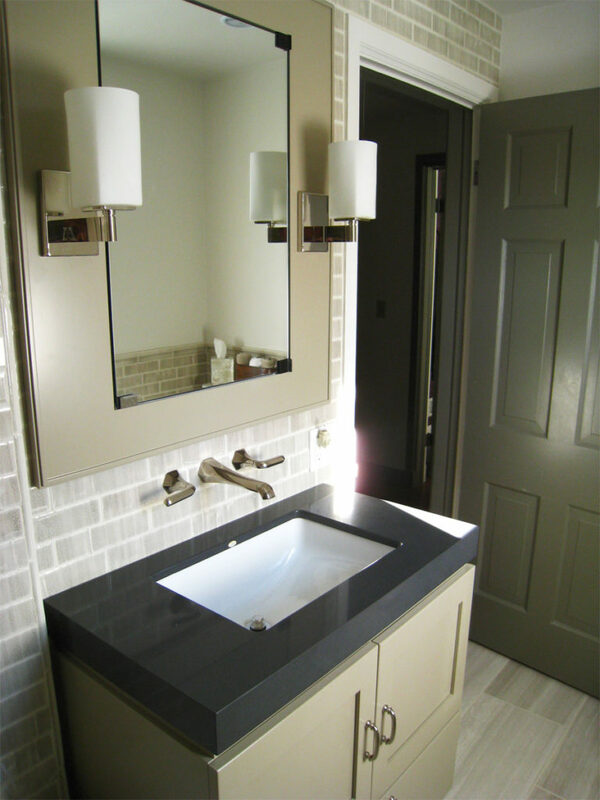 We are the choice some of the best interior designers in Ohio and have created some of the finest bathrooms. We pride ourselves on every detail being done the right way and work to the highest level of quality. 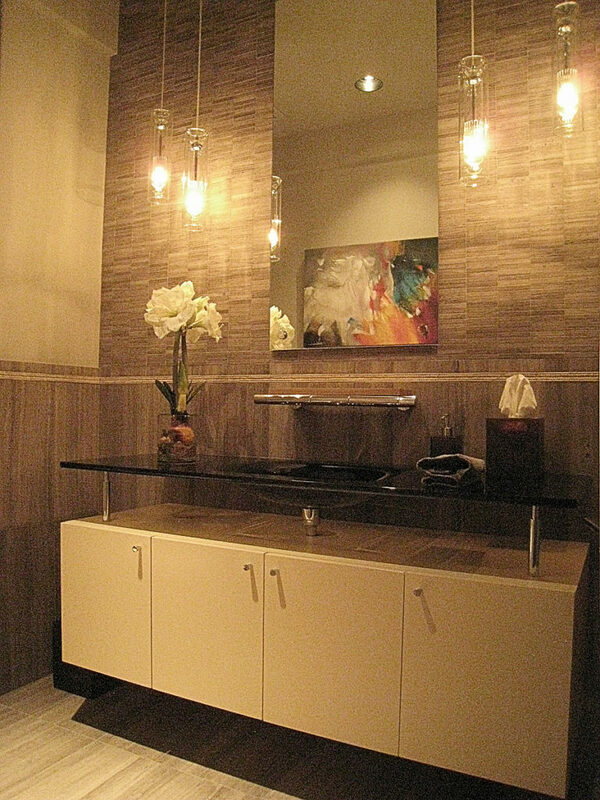 This vanity consist of natural maple plywood interiors with plastic laminated doors and exterior of cabinet. Then the laminate was scuff sanded and three coats of catalyed pigmented finish applied for the smoothest of finishes. Then six inches stainless steel stand offs were installed to hold one inch thick solid glass countertop with integral bowl. The Zang Company was established in 1990 by Charles Zang. Charle’s woodworking ability has been passed down through his family for generations.